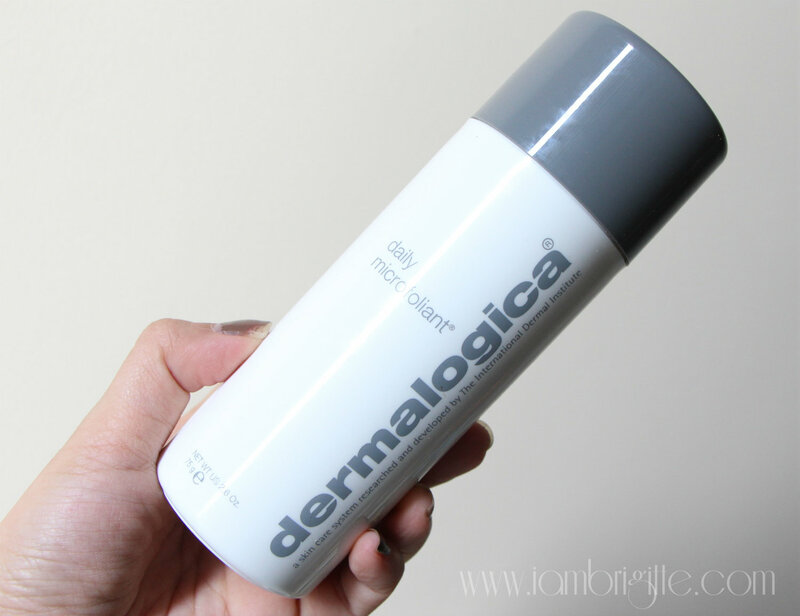 IAMBRIGITTE : Product Review: Dermalogica Daily Microfoliant.. 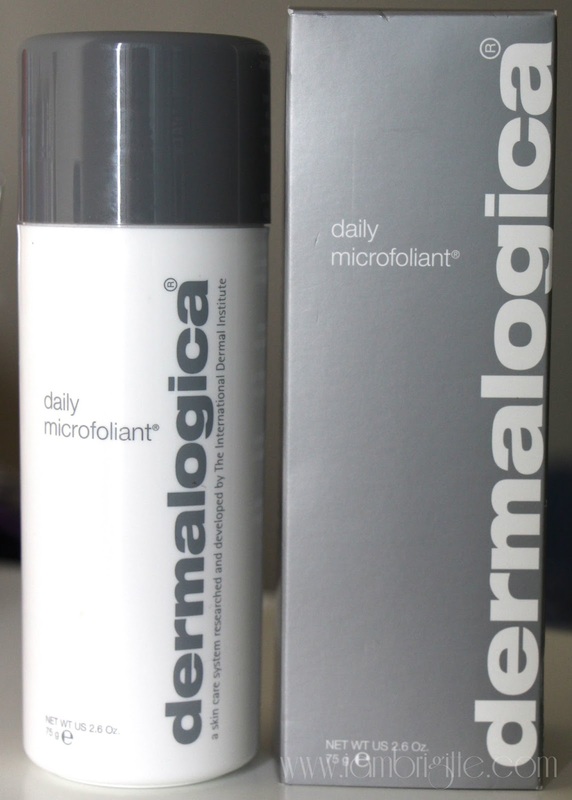 Product Review: Dermalogica Daily Microfoliant.. I've had this product since January but have put off using it for a while because I've just started with my Obagi Nuderm regimen, and my skin is all raw and sensitive that time…not to mention peeling like crazy too! My skin condition improved and felt less raw towards the end of February and so I thought, why not give it a try. I know there's a warning on the packaging that it should not be used by those who are using other medically-prescribed exfoliation products, but well, my stubbornness persisted. (laughs) Besides, it's my skin and I think I know well if it could handle anything else. But of course, don't take my word for it. Do ask your dermatologist first just in case you'd want to try this out and you are currently using another exfoliant in your regimen. Another reason why I decided to finally try this out despite being on Obagi is that months ago, I was able to try their products when I had a facial at Dermalogica. My skin was really terrible that time but their products are so mild I didn't have any issues after my facial. Packaging is clean, simple and medical-ish. (Haha, is there even such a word?) I love that it comes in a plastic container, you know how I can be such a hazard around breakable stuff! 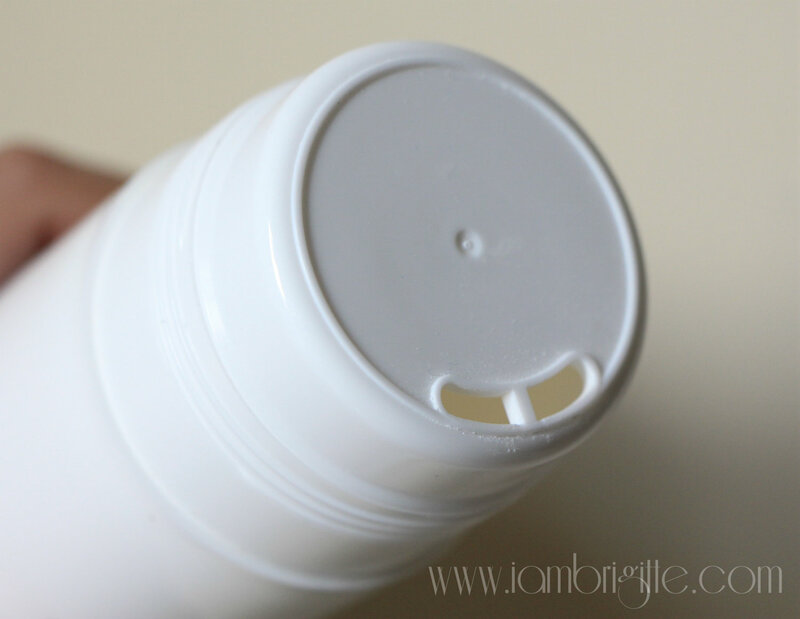 The container has these two small openings on top to dispense product. I wish there's only one though, as there would be times that I would end up getting more than what I intend to use. I can say that this is like no other face scrubs that I've used in the past. It's in a finely-milled powder form and actually, I can't even call it a scrub since I don't see (and feel) any grains in it. It has a subtle medicated scent to it too! 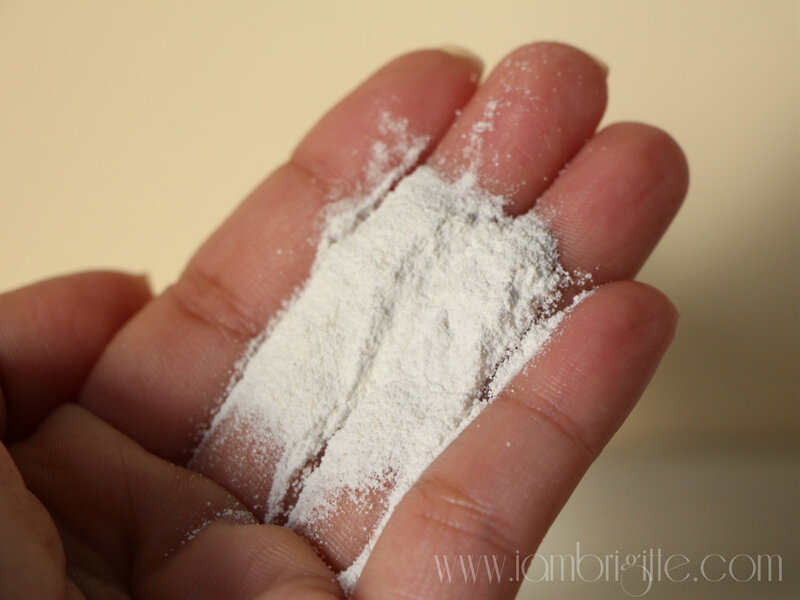 To use: Pour some powder on your palm and add some water, rub palms together to form a consistency of your liking. 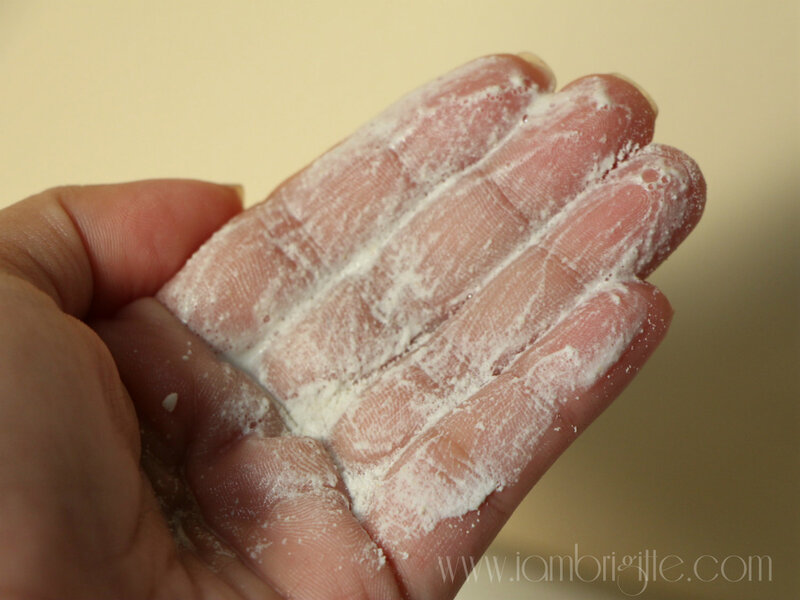 If you add more water, and rub your palms some more, you'll have a foamy lather. I like mine to be just like the one above. Massage it gently onto your face in circular motions and then rinse off. Despite being a daily exfoliant, I don't use this everyday. I use it on 2-3x a week or on days when my skin's being flaky from using Obagi. It really helps in smoothing out the flakes without leaving my skin irritated. I know my face looks all red in the photo, but it's nothing unusual for my skin. I get red easily! I do get a bit of tightness on my face after using the product, but it goes away in just after a few minutes. For those with drier skin, I'm sure it's nothing that your good 'ole moisturiser would be able to take care of. You just need a little amount each use, so this product will last you a long time. It's gentle on the skin, leaving it squeaky-clean and smooth..and brighter too! It has Salicylic Acid which helps combat and prevent acne. It's expensive. This costs AED 245 (approx. Php3000) a pop. But then again, who would mind paying extra bucks for something that works, right? I wish the container comes with just one opening, so I won't end up spilling more product than what I'd be using. Overall, I am liking this product. It's great that I'm able to find a good "scrub" that I can use when I'm on Obagi. When I was on Obagi years ago, I didn't use any other exfoliants as it might just do more harm than good on my skin. 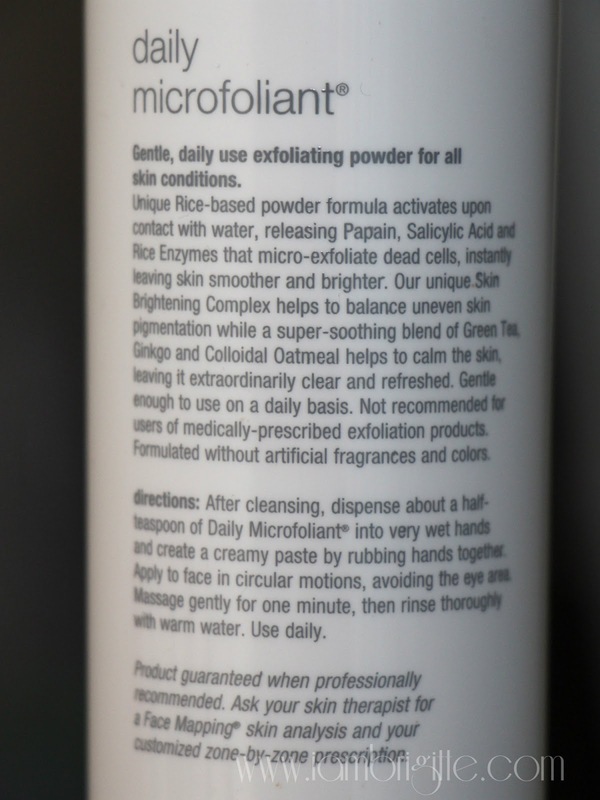 By the way, if you think this Daily Microfoliant won't suit you, you might want to check out their other exfoliation products available: the Gentle Cream Exfoliant and the Skin Prep Scrub. All Dermalogica Exfoliants are available at “Dermalogica on Burj” (04 339 8250) in Dubai Mall. * Product has been provided for consideration.